Click register to get the username and password. 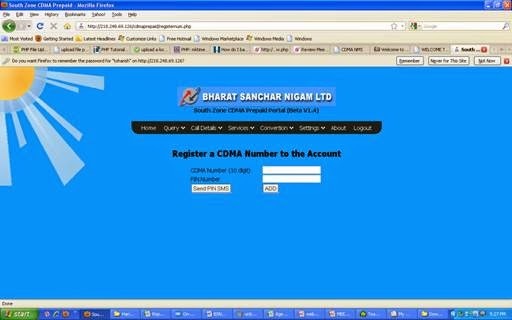 Once register is clicked you will get another page with the registration form. Fill up the registration form properly with the correct data. There is only minimum requred data to be entered in the registration process to make the service easy. While entering the data you have to give a valid Email ID, as registration process will be completed only after varification of the Email ID. Once the username and password is accepted use the user name and password to login to the system. 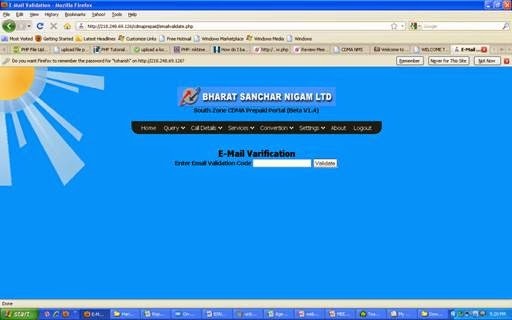 Copy the varification code and click menu “Validate Email ID” and enter the validation code. 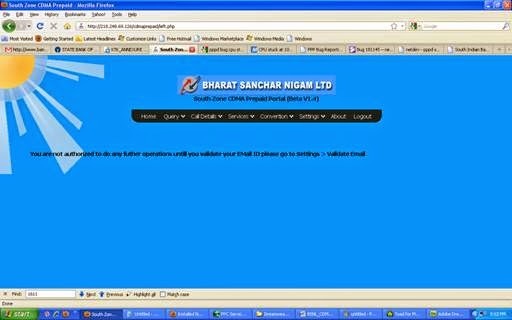 Once the Email varification is completed the user will be valid. 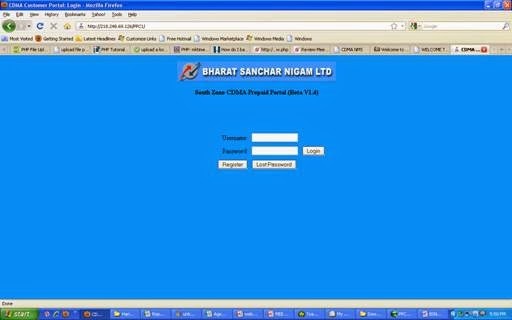 Next step is to attach the number with registered account, for this first logout and relogin. Now an additional menu will come “Register number”. Now you have to register the number using this menu. Enter the 10 digit number stdcode+number or mobile number. Std code should not start with ‘0’. While a prepaid number is created and SMS is send to you informing you your PIN number. Get that PIN number and click add to register the number. Suppose the PIN number is not available click “Send PIN SMS” after entering the number. You will recive a number will will be treated as your PIN. Enter the SMSed PIN and Click ADD to add the number. By any chance if SMS is not receved then go to the nearest customer service center and give letter for changing the PIN and get the correct PIN.then enter the right PIN and register. Once the number is registered your account is ready to use.